(From Left) CEO Jason Uy, MCIA General Manager Atty. Steve Dicdican, Lapu-Lapu City Mayor Paz Radaza, Ms. Marcela Uy, Chairman and President Justin Uy, MEZ Deputy Zone Administrator Atty. Rufino San Juan IV, Jpark Island Resort’s General Manager Jonathan Nowell and Tourism Chief Hembler Mendoza. 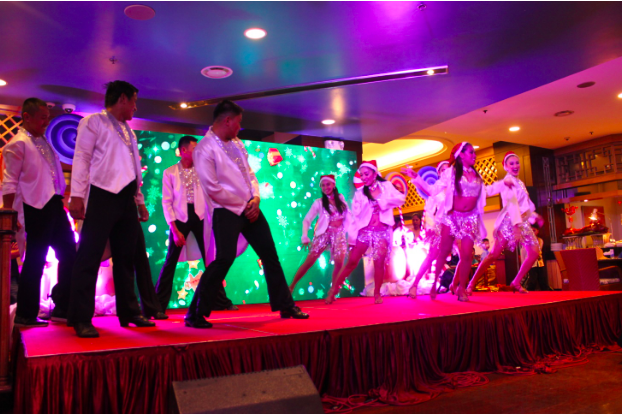 Jpark Island Resort & Waterpark, Mactan Cebu’s Christmas Tree Lighting Ceremony held last November 15, 2018 marked the launch of the resort’s holiday festivities. 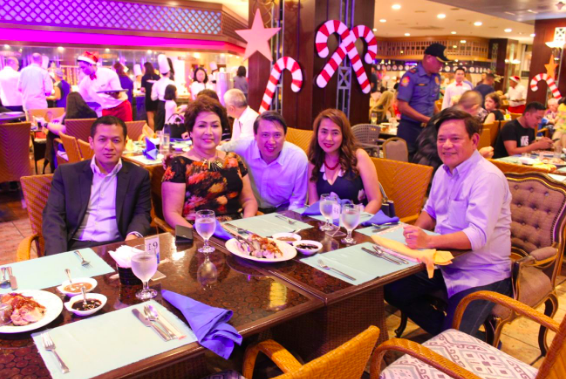 The symbolic lighting of the resort’s 30-feet Christmas tree was spearheaded by its CEO Jason Uy, Chairman and President Justin Uy, Ms. Marcela Uy, Lapu-Lapu City Mayor Paz Radaza, Mactan Cebu International Airport General Manager Atty. Steve Dicdican, MEZ Deputy Zone Administrator Atty. Rufino San Juan IV and Jpark’s General Manager Jonathan Nowell. 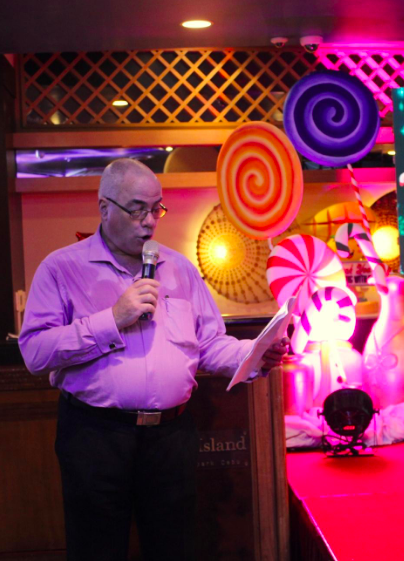 Dubbed as “Sweet Christmas,” the event area which was at The Abalone restaurant was absolutely a replica of a majestic candy land. The programme kicked off with Christmas carols from the Angelicus Children’s Choir which was followed with welcoming words from the resort’s General Manager, Mr. Jonathan Nowell. Jpark Island Resort is not only committed to provide the best of Filipino hospitality to its valued guests but also to give back to the community. Every year, they partner with the Lapu-Lapu City Home Care Center where disadvantaged children take shelter from. To show gratitude to all the support they’ve received throughout the years, kids from the said home care center sang their hearts out to the event’s guests with some Christmas songs. As dinner came, members of the media, corporate clients, resort’s executives and VIPs enjoyed a yuletide feast at the resort’s buffet restaurant, The Abalone. Everyone loved the selection of Filipino and International cuisine favorites which include Cebu’s Lechon, Braised Lamb Shank in tomato Sauce, Pan Grill Salmon fillet, Salmon Gravlax, Carving stalls with Pecking Duck and Whole Fish with Ginger Soya, Grilled items such as Beef Ribeye, Prawns, Mussel, Seafood Kare-Kare and so much more. Guests even more felt the warmth of the season with Fidelis Choir’s classic Christmas songs. The epicure evening further impressed the event’s 380 guests with vivacious performances from Jpark’s very own “Amigos” and violinist Melissa Cipres. reasons for guests to enjoy the beautiful islands of Cebu with this amphibious craft. Jpark Island Resort is also the exclusive distributor of the Sealegs Amphibious Craft in the entire Philippines. Another video was launched that night which is the resort’s Christmas video campaign highlighting Christmas traditions in the Philippines being practiced by different nationalities. The video features a mix of Korean and Cebuano rendition of the prominent Cebuano song “Kasadya Ning Taknaa” with Jpark Island Resort & Waterpark’s employees together with the Korean-Bisaya Social Media Star “AnnyeongHaleo” and C3 Core Singers. The video is now up on their social media accounts for everyone to see and sing with. The night ended with an inspiring speech from Chairman and President Justin Uy as he shared his family’s humble beginnings and experiences. All guests absolutely had a great night and are looking forward to the resort’s new developments throughout 2019.